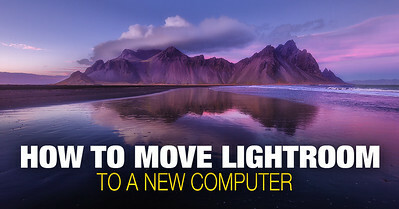 Using Lightroom keyboard shortcuts allows us to speed up our photo editing workflow. Not only do the shortcuts save us time, they also make the entire editing process more fluid by eliminating unnecessary interruptions. At the same time, I find that using Lightroom keyboard shortcuts is more challenging compared to other applications like Adobe’s Photoshop. 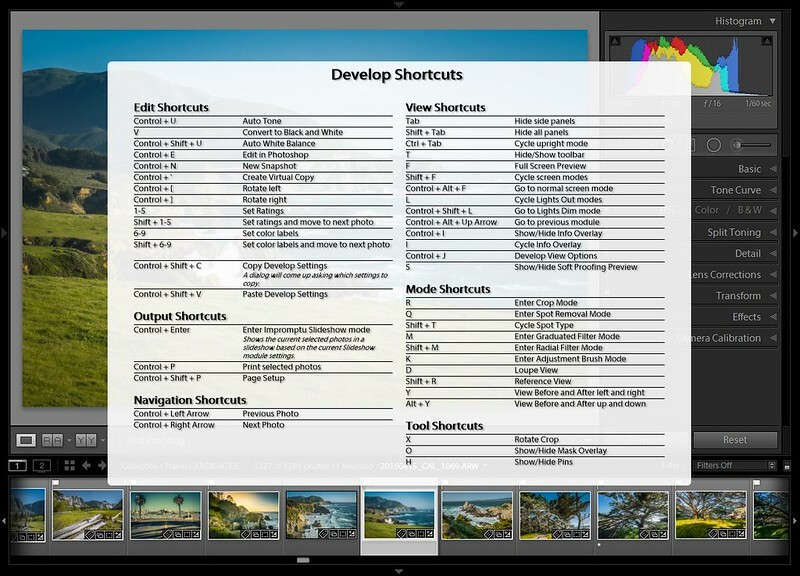 Due to Lightroom’s modular structure, the same shortcut can carry different functions in various areas of the program. For example, using the shortcut “O” in the Library Module activates the People Mode; however, it does nothing in the Development Module and, in the Adjustment Brush Tool, it displaces the mask overlay. Like I said, it can be confusing. F – Full-Screen Mode –This takes the image into full-screen mode and allows us to preview the photo without the distractions of Lightroom’s interface. R – Crop Tool – This shortcut is most useful when starting in Library Mode. By hitting “R,” you first open the Develop Module and then activate the Crop Tool. Shift + Tab – Hide All Panels – I use this the most with the Crop Tool because it allows me to maximize the use of the interface. O – Show/Hide Mask Overlay – This shortcut shows the area affected by the editing tools (Gradient Mask, Adjustment Brush, Radial Filter). When working in the Develop Module, the main editing tools are distributed across nine panels located on the right side of the module. It is easy to get lost when you have all nine panels extended, not to mention that it takes a lot of scrolling to navigate between them. Fortunately, Lightroom has Solo Mode, which allows us to keep only one panel open at a time. 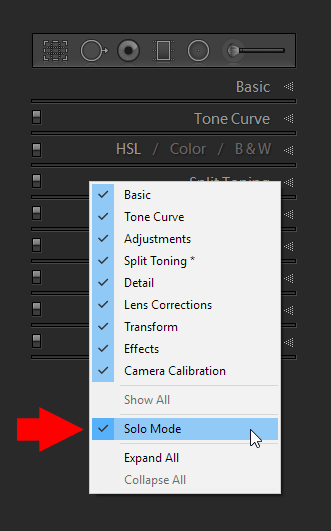 To toggle the Solo Mode on/off, use Alt + and click on any panel header. Alternately, you can right click anywhere on the right panel to access the selection menu. Ctrl (Cmd) + ] – Rotate photo clockwise. Ctrl (Cmd) + ] – Rotate photo counterclockwise. Spacebar Down – Zooms in on the selected photoReleasing the spacebar brings the photo back to default magnification. I use this shortcut when evaluating a photo for proper focusing, sharpness or noise. I hold the spacebar down while panning around the image with the help of the mouse. Quick Collection is like a temporary holding container where you collect photos from different locations for further use. For example, when I need to select photos for my new tutorial, I go through various Collections and Folders marking potential images to consider using the “B” shortcut and they are saved to the Quick Collection. Shift + any rating shortcuts (P, X, U, 1-5, B). This advances to the next photo after applying any of the ratings, rather than staying on the same photo. Alternately, you can permanently enable the Auto Advance feature in the PHOTO menu, but I prefer to always have a choice between the Auto Advance and default functionality. Even though I often use the SYNC and SYNC SETTINGS buttons to apply the development settings to multiple photos, I find the dedicated shortcut to be extremely useful. Ctrl (Cmd)+ Shift + C – Activate the Copy Settings selectors. 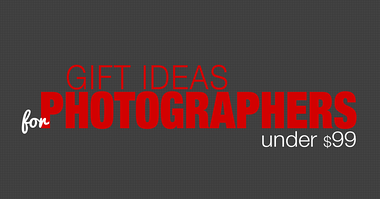 Ctrl (Cmd) + Shift + V – Paste selected Development Settings to the selected images. Ctrl (Cmd) + Shift + V – Paste Settings From Previous.If you do not use Ctr + Shift + C to copy to the selective parameter, Lightroom will copy all the development settings from the previously selected image. The Crop Overlay Tool is one of my most used tools in Lightroom and is the starting point for every single image I edit. When I am done editing, I also create different crop versions for Instagram and Pinterest. When I am in the Library Module culling newly imported images, I often want to see if it is possible to improve the composition by cropping it differently. By using the “R” shortcut, it simultaneously takes me to the Develop Module and activates the Crop Overlay Tool. 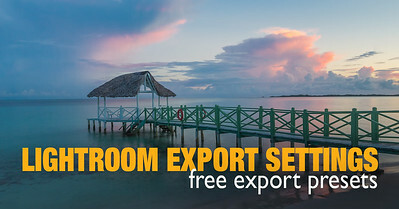 Lightroom does not make it easy to change the crop orientation from landscape to portrait. This shortcut is a lifesaver when using the Crop Tool. Ctrl (Cmd) – Activate Straighten Tool. A – Lock/Unlock aspect ratio. 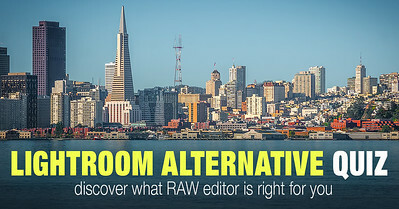 When Lightroom was first introduced, it had very limited selective editing capabilities. Most of the tools were designed to affect the entire image and, in order to affect a specific area of the photo, you had to jump to Photoshop. But with every new update, selective editing became more powerful and sophisticated. Now, with the Adjustment Brush Tool, you can create sophisticated masks that affect only specific areas of the image. This is an extremely useful shortcut when fine-tuning the selection. This shows the area affected by the editing tool. I use the Spot Removal Tool quite a lot. It rarely matters if I am editing a landscape, cityscape or a portrait, there is always need for this tool in my workflow. Although there is a dedicated shortcut (Q) to activate the Spot Removal Tool, I hardly use it. I find it easier to activate it by clicking the icon. However, the next shortcut is extremely valuable to me. 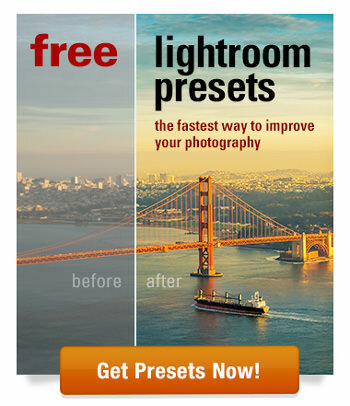 When you start stumping with the Spot Removal Tool, Lightroom automatically chooses the sample area. In most cases, it does an exceptional job but, when it fails, the next shortcut comes into play. H – Hides all Spot Removal Pins for an unobstructed view. After activating the tool, I immediately use the “H” shortcut to make sure all the pins are hidden. Next, I use the Shift + Tab shortcut to hide all the panels and get the biggest possible image view. I start stamping areas I want to clean and, if/when I am not happy with the result, I use the “/” shortcut to force Lightroom to use a different area for sampling. And finally, there is the mother of all shortcuts. By using it, you can display all available shortcuts. Ctrl (Cmd) + / – Displays the complete list of shortcuts for the module you are currently working in. 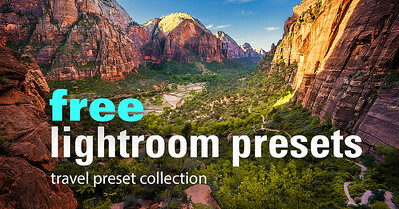 Please share with us your favorite and most used Lightroom keyboard shortcuts. You forgot the most useful (for me anyway): Command + “,” (comma). 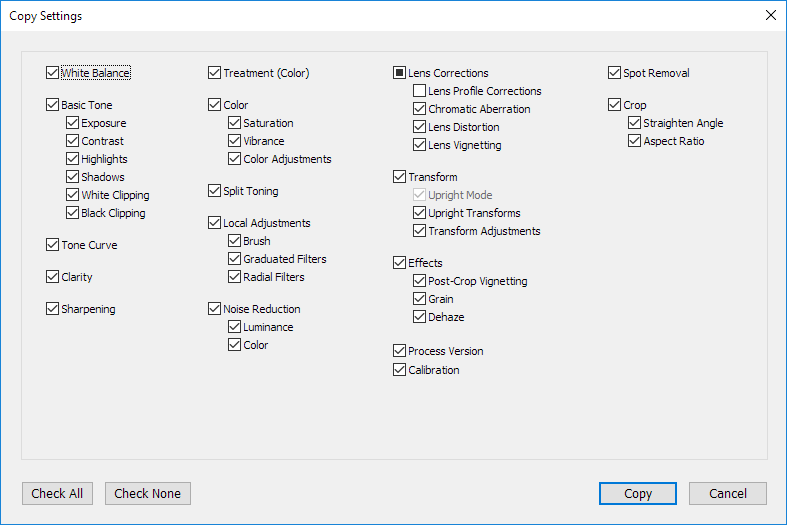 This makes a virtual duplicate of a photo, so you can have multiple edits of the same shot. 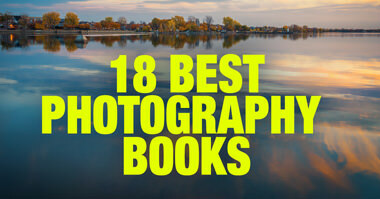 🙂 Great list otherwise – I learned a lot. I did not forget about it, I simply do not use it. On PC I always have Virtual Copy option handy by right clicking the image. Didn’t recall that popping up there. But that takes an extra step of selecting from the right click options. But if you are always using the mouse at that stage – it might make more sense. Although, technically not unique to Lightroom, I am constantly using Cmd + Z to Undo. Also use Cmd + Shift + Z to Redo if bouncing back and forth to see if I like the results. I’m always experimenting with various settings and presets to get the look I want. Subsequently, I make a lot of mistakes that look horrible. I even have Undo and Redo programmed into my Wacom Tablet and it’s pen. since Adobe introduced History Panel in Photoshop I use Cmd + Z much less. Same goes with LR. I always keep History Panel open I can jump to any point of my editing. I so similar things. I use Cmd + Z to undo any obvious errors instantly. In those cases where I’m going down the wrong alley, I reposition in the History Panel to an area before the problem. Which brings me to a question for you. I’ve been studying your workflow. I like the way you use Snapshots rather than Virtual Copies. So much so, that I’ve gone in and replaced all of my Virtual Copies with Snapshots. (A) Use a Reset preset prior to creating the new look? (B) Reposition to the beginning of the History Panel and basically start from scratch? (C) Just continue on and let the new presets overwrite the older settings? I never purge History steps, I keep everything. I use RESET preset to create a visual separation in History Panel so I can see where on version ended and new started. Very helpful. Thanks Viktor. Is there a shortcut you might recommend to help expose sensor dust, etc.? Great set of essential LR shortcuts. Thanks, Viktor! Now if only there were a shortcut to speed up the photo import process…! For “Auto Advance” you can also just leave the “Caps Lock” on and it will advance to the next photo. Handy when just going through the culling procedure.